Raindrops keep falling on my head. 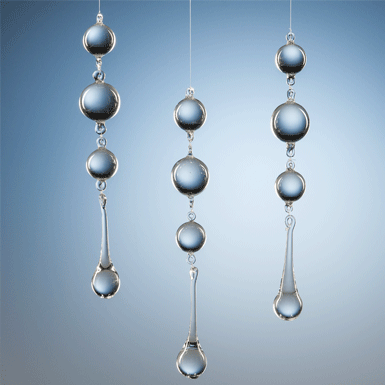 The balls and raindrops turn the world upside down - amazing! You have to have more than one raindrop hanger!